Life with Aspergers: Do People with Asperger's Syndrome have Difficulty telling Left from Right? Do People with Asperger's Syndrome have Difficulty telling Left from Right? Ever since I was a little kid, I have had problems distinguishing left from right. I always assumed that it was “just me” but recently I've found that a lot of people with Asperger’s have the same problem. It might be an Asperger’s thing. It might be an “everyone” thing … or it might be a “nerd thing”. Who knows? All I know is that although I never actually get my left and right mixed up these days, if someone asks me to raise my left hand, there's a noticeable delay between the instruction and my compliance. In fact, I usually have to mimic writing (I'm left handed), in order to identify the correct hand. It's been that way for as long as I can remember. As a child, I was always the first one to get out in games like “Simon says” but I had always thought that it was something to do with being deaf. Even when I could hear the teachers perfectly well I still had to look at the other students before I could make a move - and even then, I'd often copy it wrong. This was a problem that pretty much disappeared as I reached adulthood and I naturally presumed that I had conquered it. After all, as I said earlier, I don't get the directions wrong.. just slower and once you’re in real life situations rather than games, reaction times for left and right are less critical. The problem did crop up a few times during my stint as a cub scout leader but again I put it down to poor hearing and the idea that I'm simply not very good at certain types of games. In any case, as the leader, I wasn't involved in actually “playing” the games very often. What changed my mind on the whole thing was joining a Karate group and also doing some classes at the gym. At karate, I can usually hear the sensei when he barks out orders but when they involve left and right, I still have to look at the others when they move in order to get my reaction time up. 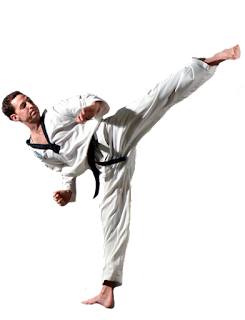 What is interesting though is that I have no problems with the Kata (memorised sequences of moves) because they’re always the same moves. My problems occur when sensei is taking us through stretching exercises and he says stretch your right arm. Usually it’s not a problem but sometimes he switches the order that he does things, right first, and then left. When he does that he always catches me out. Usually nobody else, just me. The other interesting thing about Karate is that I've found that the only way I can mimic new moves as the sensei teaches us is to turn my body to face the same direction as his (while he is demonstrating) and then match my arms and legs with his. I can't look at him and easily reverse the movements and I can't do it all in one go. I have to do each part of the procedure individually - I can’t look once and automatically decide that he has both his right arm and right leg out. It’s a painstaking process that I never see the other karate people doing. The gym class made everything much clearer. I mean it’s obvious that being a newbie at a high intensity class means that you’re going to be slower than everyone around you. It also means that you’re going to put the wrong leg out occasionally… more than occasionally. In my case, I found that I couldn't match my movements to anyone. By the time I’d identified which leg they put out and put mine out, they had the other leg out. After a while, I started trying to identify the arm or leg that wasn't moving and trying to put that out instead. It worked a little better. Of course, as things warmed up, I found that I couldn't match the speed of the class but mostly that I couldn't think about my arms and my legs at the same time. When I think about it, I suspect that it was evidence of issues in my vestibular system. Not so much balance as spatial orientation. Since I have two kids with Asperger’s syndrome (and they’re very different), I basically have my own “home laboratory” for certain kinds of social tests. I decided to run a couple of quick tests with my boys (and with my wife). Throwing an object and saying “catch this with your left hand” - this places a sense of urgency on the test and prevents a delayed but correct response from upsetting the results. Asking the kids to touch their right foot when they’re sitting on their feet (or sitting cross-legged). Asking them to pick something up with their right hand when they were walking past it. What was interesting was that my youngest (12) got everything right first go, as did my wife. My eldest son (15) nearly always got things wrong. There’s clearly something there that’s a clear difference between the two kids. It’s obviously not a core part of Asperger’s syndrome but it’s possible that it’s a co-condition. I totally have a problem with Left and Right! I was a college Math instructor for 9 years where I taught basic math through Calculus. When I taught graphing, I would constantly squeeze my right hand and think "I write with my right!" My husband wants me to be the navigator in the car and we have to laugh when I tell him to turn right then quickly say "No! My other right!". I know NT people have this problem but I agree with you. Your description of the gym and other classes made me laugh because you might as well have been describing my experiences. I call what you are talking about "mirroring issues". I have a horrible time determining right and left when looking at the mirror. Ugh! My AS son also has a diagnosis of dyspraxia and most of what you describe, I recognise in him. I have always put issues with things like copying movement (he had exactly your issues copying the sensei when he did karate as a child!) down to the dyspraxia. Difficulties with organisation of movement are usually described as classic dyspraxia symptoms.